Techniques by Trish: Thank You Christmas! Happy Hump Day!!! Today is such a FANTASTIC day for me....I'm feeling SOOOO much better (have a bit of a cough that wont go away) but I just feel so much better overall! I also had an interview today and I GOT OFFERED THE JOB ON THE SPOT!!!! (I'm going to be a customer service rep for a shipping company) Thank you to my Molly & my mom/sister for helping me pick an outfit and Cristi who kept ensuring me I'd be fine! I'm so stinkin' Excited!!!! So that is why I'm SOOO late posting today, last night I couldn't figure out what to wear and I wanted to be prepared for today. And then this morning I was away for my interview. So, today is my day to post for creative scraps! I'm in this Christmas mood lately. So I thought I'd make a Thank You note for a teacher who receives gifts from her students for Xmas! I was thinking of my best friend Tracey (a chicklet) who is a kindergarten teacher. I did something different with the ribbon too and I REALLY like how it turned out. All images are cut out from Hello Kitty Greeting. And the boarder punch is from Martha Stewart. 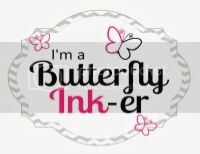 Of course, the stamp set is from Scrappy Mom's Stamps! Be sure to check out Molly's blog tomorrow for her creation and if you missed Cristi's card yesterday, be sure to head over and check it out! It was sooo cute! ALSO...THANK YOU TO EVERYONE WHO HAS SENT CARDS AND GIFTS, THUS FAR, FOR MADISON!!! ITS GREATLY APPRECIATED! Also...HUGE thanks for Lauren who included the most beautiful card for me in her package for Madison! Thank you Lauren!! To find all the Information for sending Madison a card/package (YOU STILL HAVE TIME!!) click HERE! Congratulations on the new job! What will you be doing? Congratulations on the new job! YAY! And, you're feeling better, double YAY! 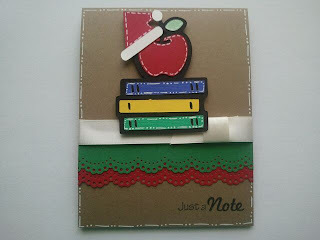 I just love this card and the ribbon feature. I'm so glad that you got my package! You really are an angel! Congratulations in the new job... and Im so glad your doing better... take care..
Creative Scraps Challenge Week #3- Thanks! 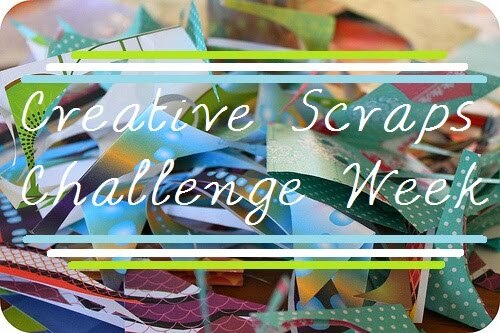 Creative Scrap's Challenge Week #3!!! Episode 27 & Birthday Blog Hop Bash Winner! Momo's Birthday Blog Hop Bash!!! Creative Scraps Challenge Week #2!!!!! Welcome to the Halloween/Fall Blog Hop! !